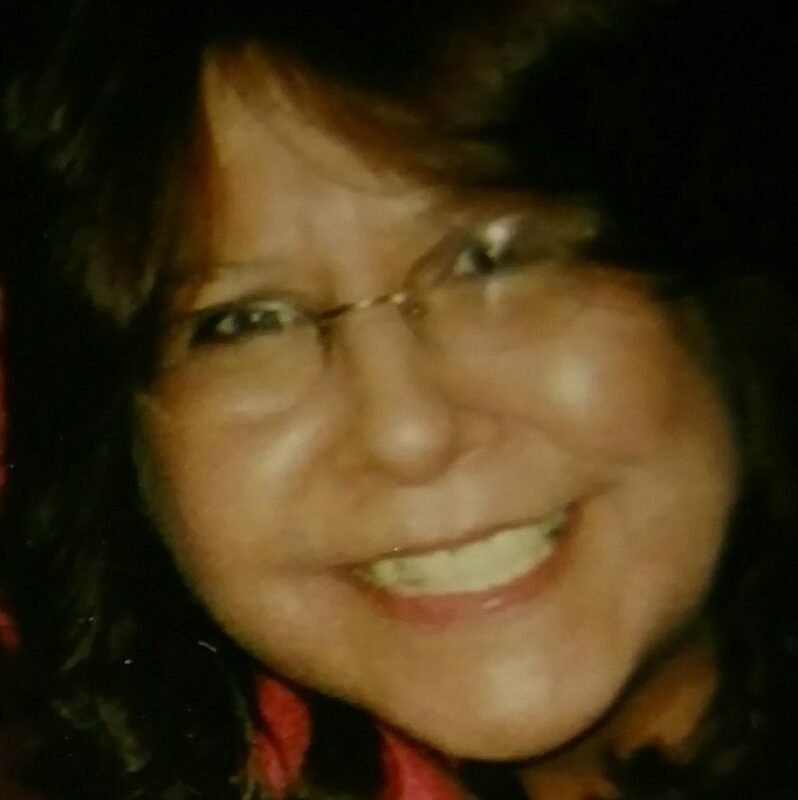 ESCANABA — Earlene D. Jackson “Ma-Ma Dukes,” 57, of Escanaba, passed away on Wednesday evening, Aug. 22, 2018 at OSF St. Francis Hospital. She was a Saginaw Chippewa Tribal Member and a descendant of the Hannahville Indian Community. She was born on Dec. 26, 1960 in Escanaba, daughter of Wilford Jackson and Gladys A. (Meshigaud) Steele. Earlene enjoyed spending time with her family, playing pool and darts, and going to the casino. She loved ladybugs. Among survivors include her sons, Joshua D. (Samantha) Jackson of Escanaba, Jared (Meshelle) Jackson of Bark River, Jeremy Jackson of California, who is deployed overseas, Justin (Charlyn) Smith of Minnesota and Russel “Ralph” Little of Hannahville; stepdaughters, Dana, Kris, Lisa Mae and Lori Jo Megenuph all of Minnesota; grandchildren, Mequon, Tthigwes, Serenity, Warren George III, Arias, Alaura, Kay-lee, Shanyce and Ceyenna all of Hannahville; great-granddaughter, Shondreya; significant other, Carl Olien of Escanaba; brothers, Eugene Jackson of Escanaba, Andrew and Arthur Steele of Mt. Pleasant, Douglas Jackson of Roanke, Va. and Brian Matrious of Minnesota; sisters, Stacey Yates of Escanaba, Lauren and Bonnie Matrious of Minnesota; uncles, Walter “Wally Bear” Meshigaud and Frank Meshigaud both of Hannahville; nephews, Jeremiah, Quinn, Raymond, Gabe, Greg, Joshua L. and Christopher C.; and nieces, Kelli “Baby Girl” Jackson of Hannahville, Rebecca, Kayla, Felicia, Jurney, Penny, McKenna, Summer, Ah-nung, Neemin and Bazhii; and numerous great nieces, nephews and cousins. In addition to her parents, she was preceded in death by a son, Warren G. Megenuph, Jr.; brothers, Thomas, Daryle and Samuel; niece, Christina Jackson; and nephew, James Jackson. The Crawford Funeral Homes are assisting the Jackson family.